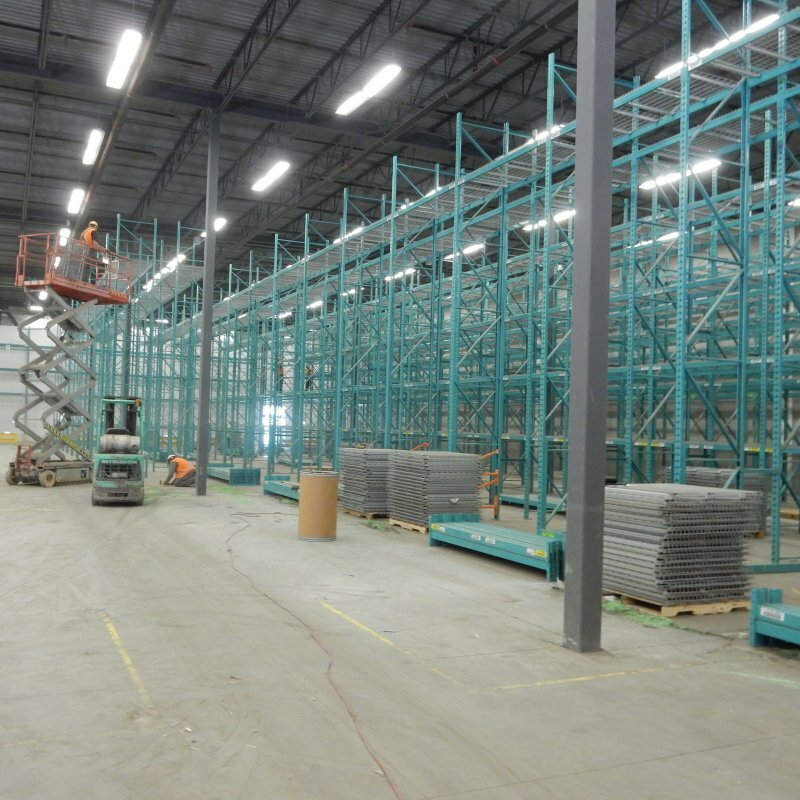 We have been installing pallet rack for over 20 years! You can trust our installation teams to get the project done on time, safe and efficiently. All of our installers are certified and fully trained. We never outsource our work to contractors and we never use Temporary services to provide our manpower. We install many types of industrial storage systems such as pallet rack, push back rack, drive in racking, drive thru rack, cantilever rack, mezzanine platforms, industrial shelving, lockers, garment hanging racks, wire mesh partition / security fence, pallet rack safety netting, guard rails and pallet rack protectors and much more! Our work is always certifiable by means of a PSR.